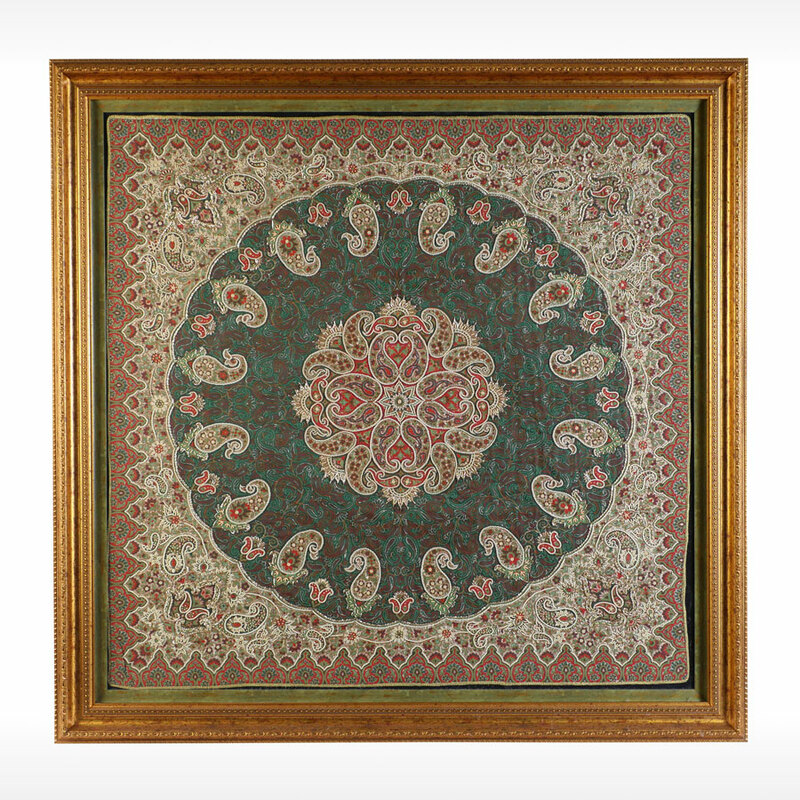 APPROX 20-50 YR OLD HAND MADE MINIATURE TAPESTRY: This framed small gem of a piece has a square shape with a round inner central design that is created out of botehs, or paisleys grouped together to form a circle that looks like a flower head. White colored thread with pearls are found raised above the field. These outline the different design elements and in some places create another design raised above the designs on the field. Individual pearls are also sewn onto the field as accents and outlines of designs. 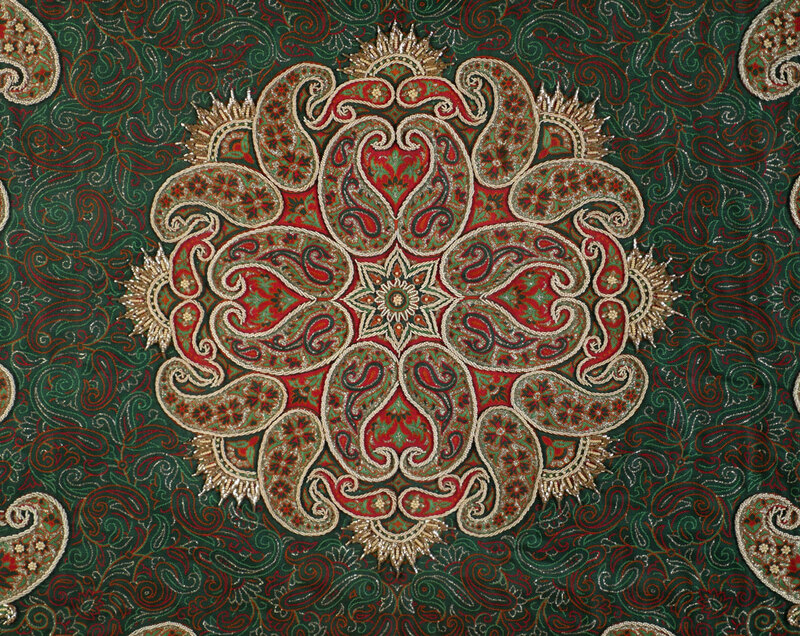 The colors used include red, white, black, and green. 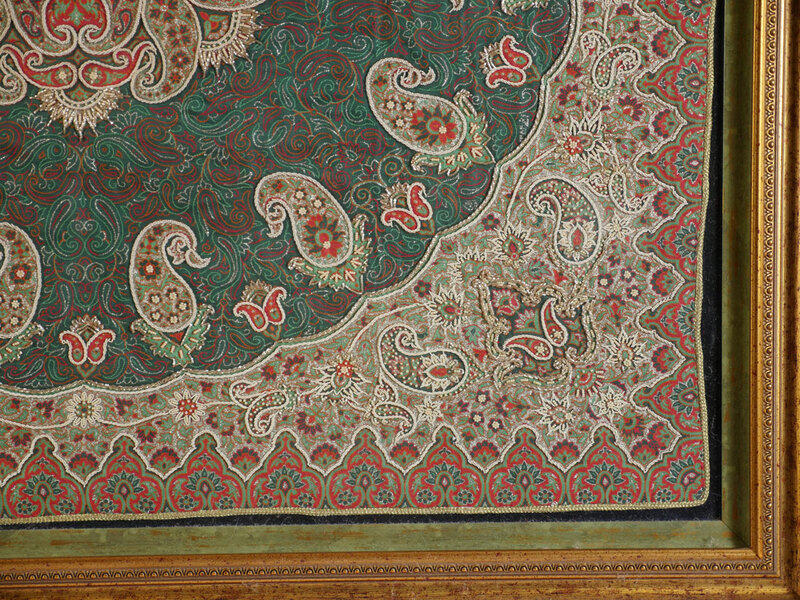 The creation of this piece involved many hours of delicate needlework. Framed, 45.5'' x 45.5'', unframed 37.5'' x 38.25''.